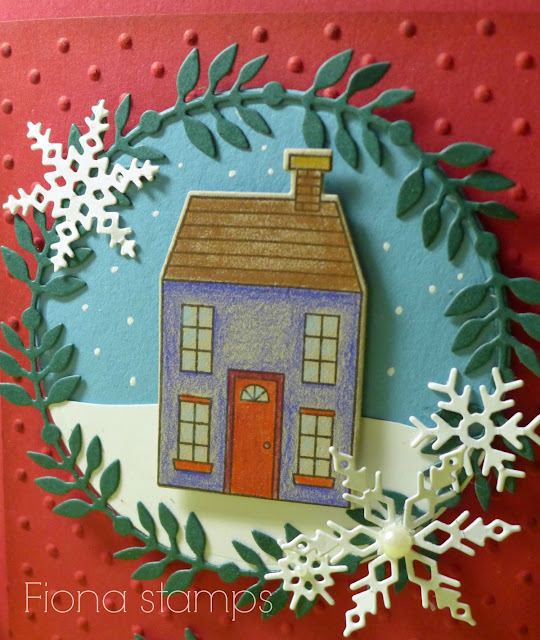 I've started making Christmas cards, inspired by some dies I purchased recently. 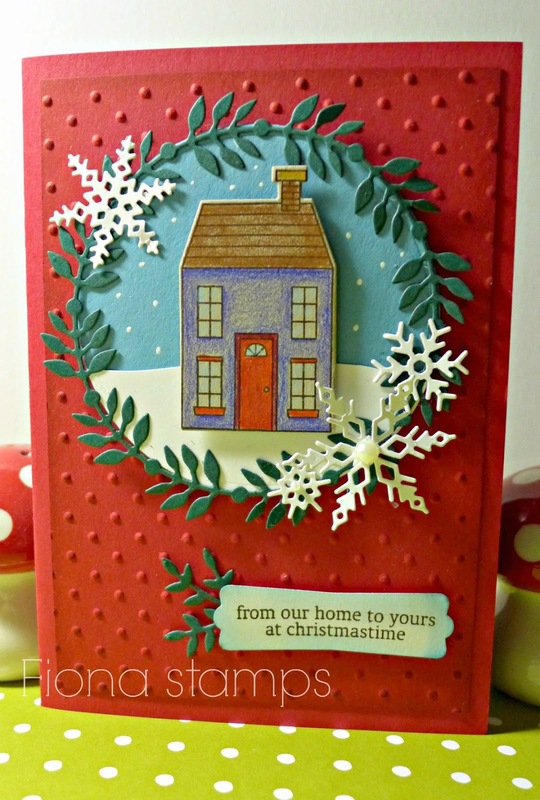 This little house in the Holiday Home set is one of my favourites and I love the greeting, too. The wreath around the edge plus the snowflakes finished it off nicely.